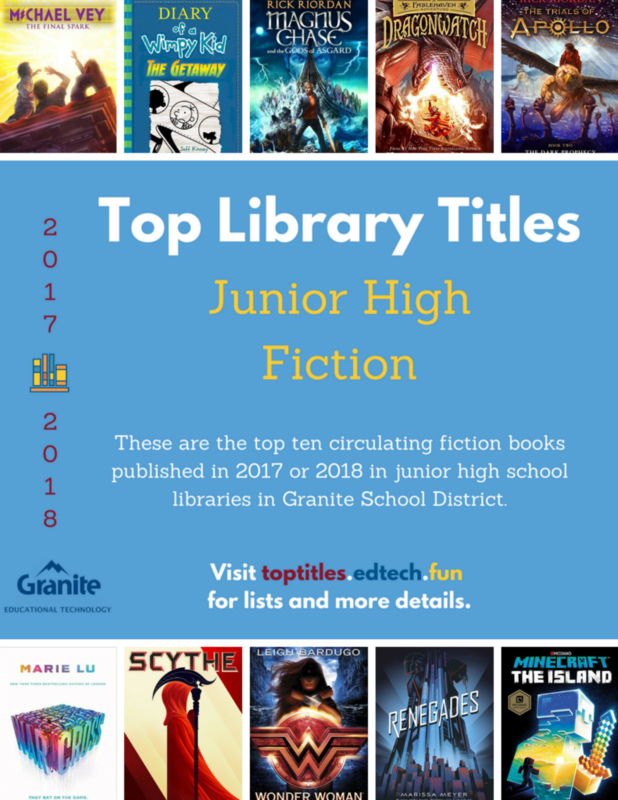 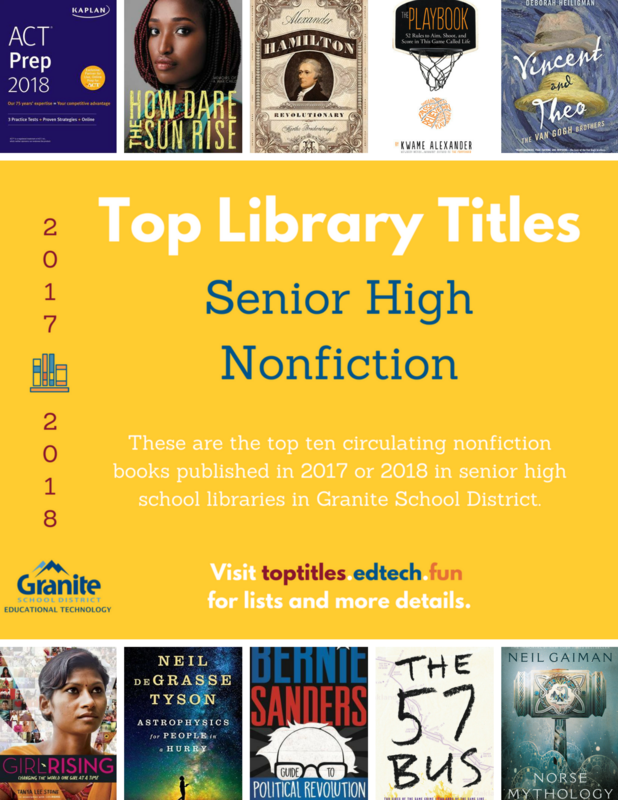 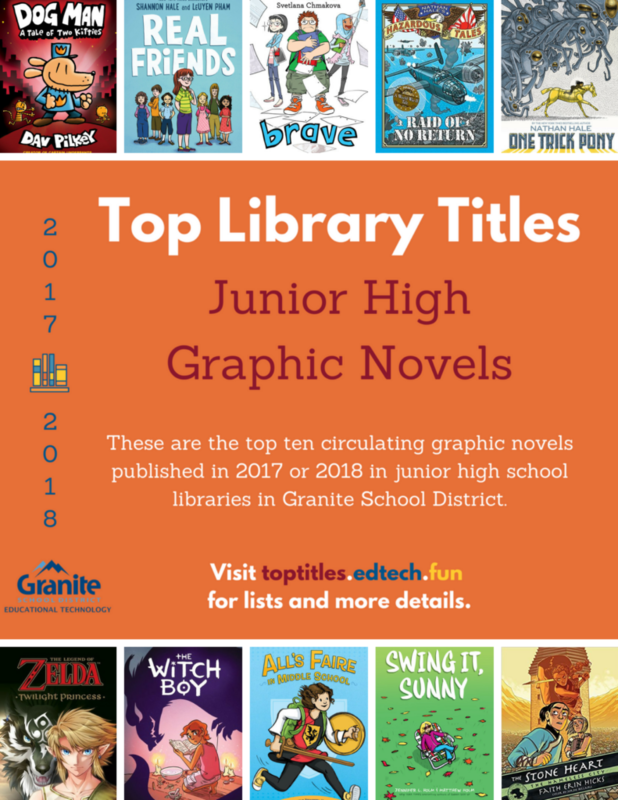 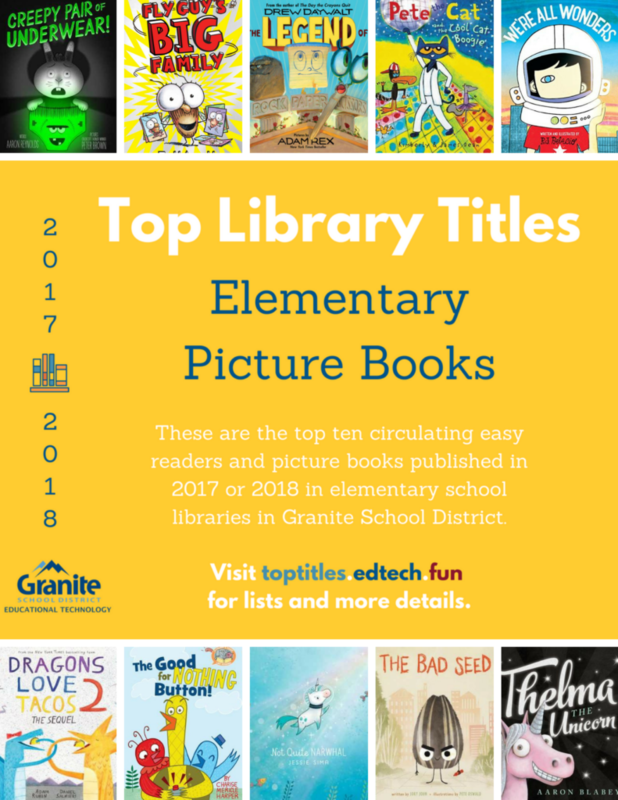 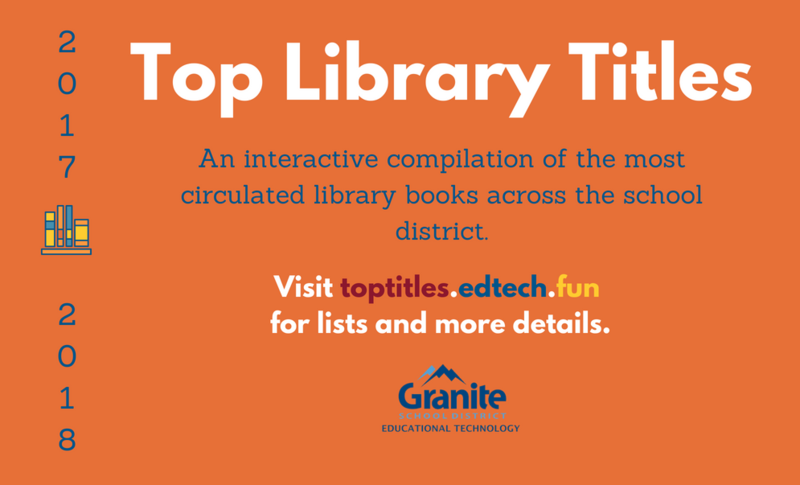 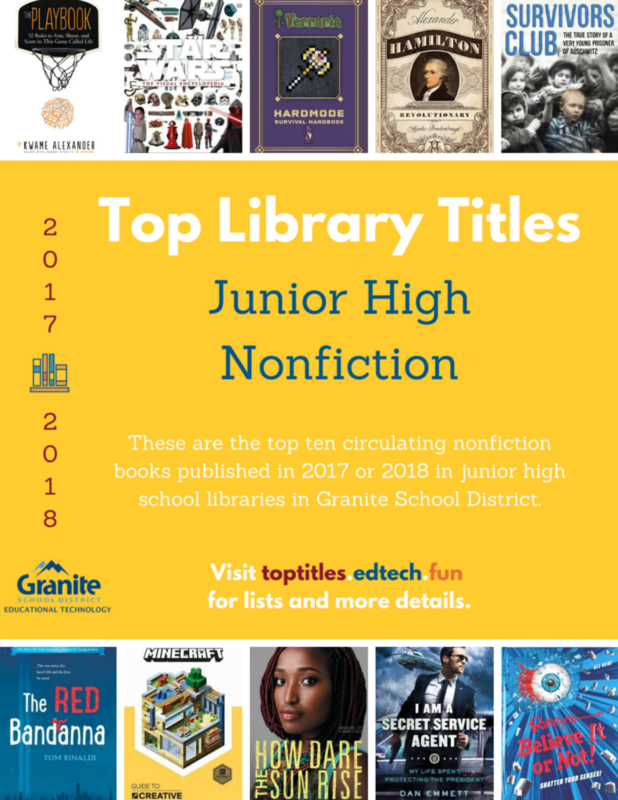 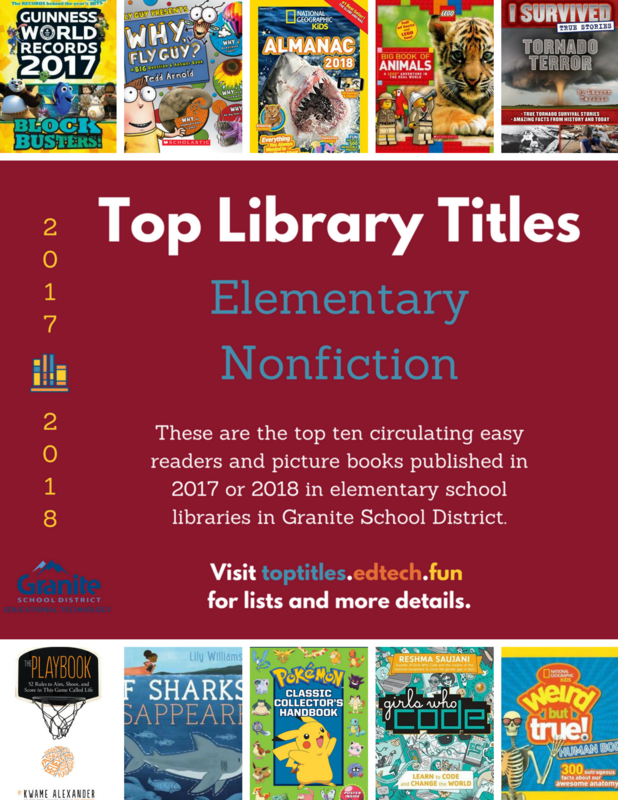 In the 2017-2018 school year, students and staff in Granite School District checked out nearly 1.7 million items from school libraries. 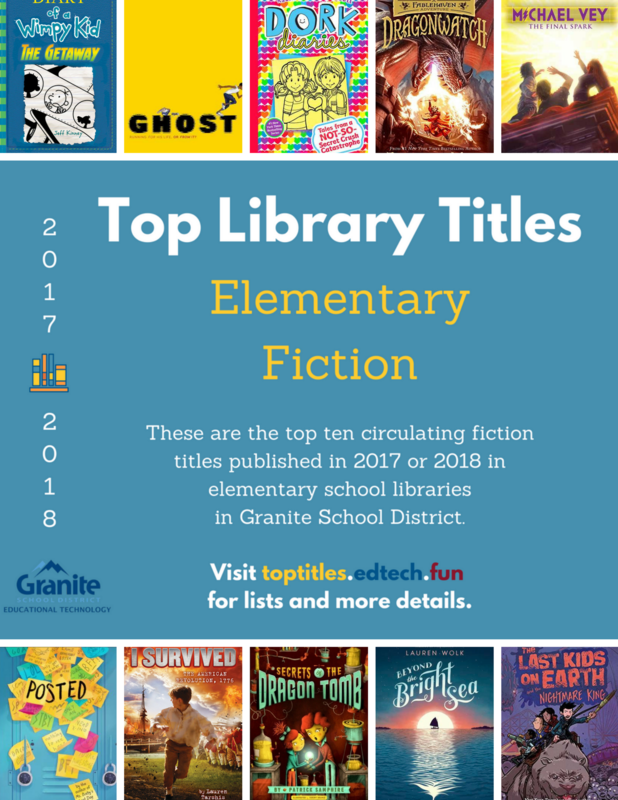 Just as last year, we’ve compiled and analyzed this circulation data to determine the most popular book titles in the district, both overall and among new books published in 2017-2018. 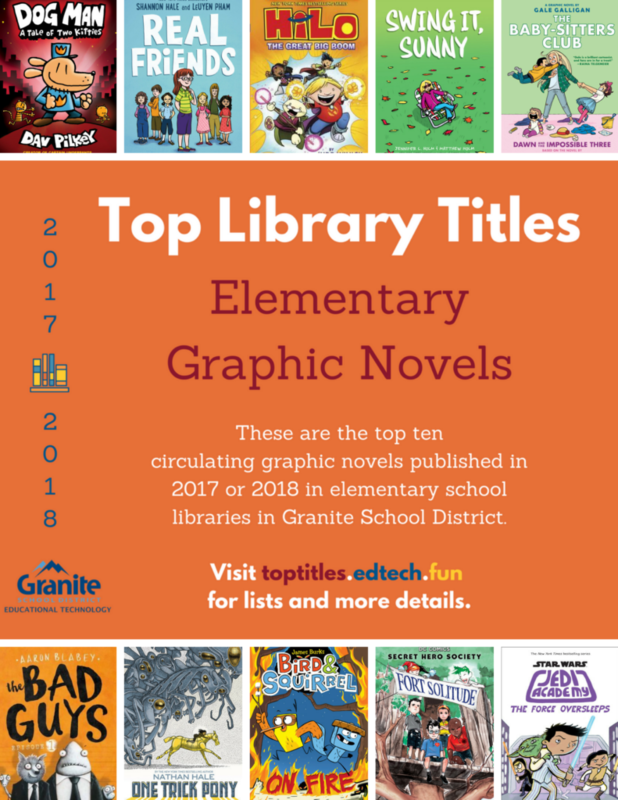 These interactive charts show the most circulated library books in the district in the 2017-2018 school year. 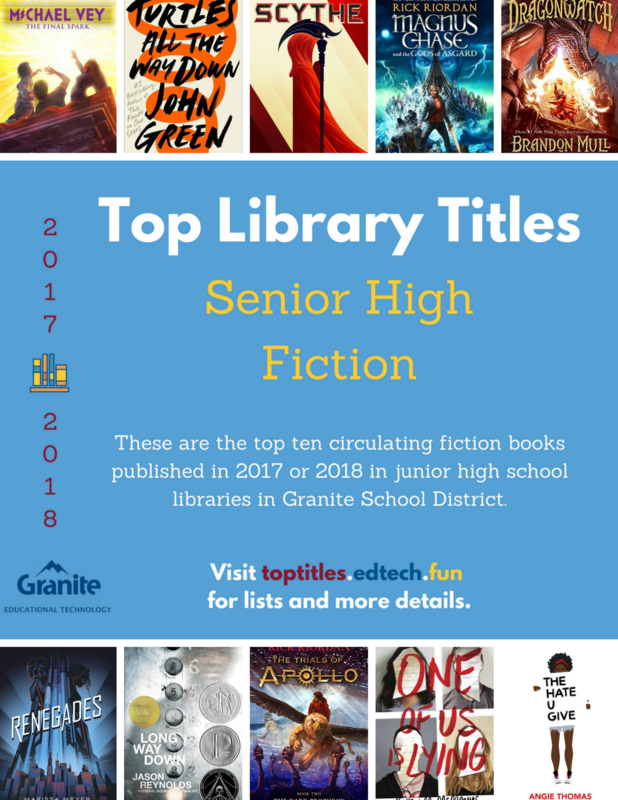 Within the tab for each school type you can use the radio buttons on the right to filter the list by book format as well as by year of publication. 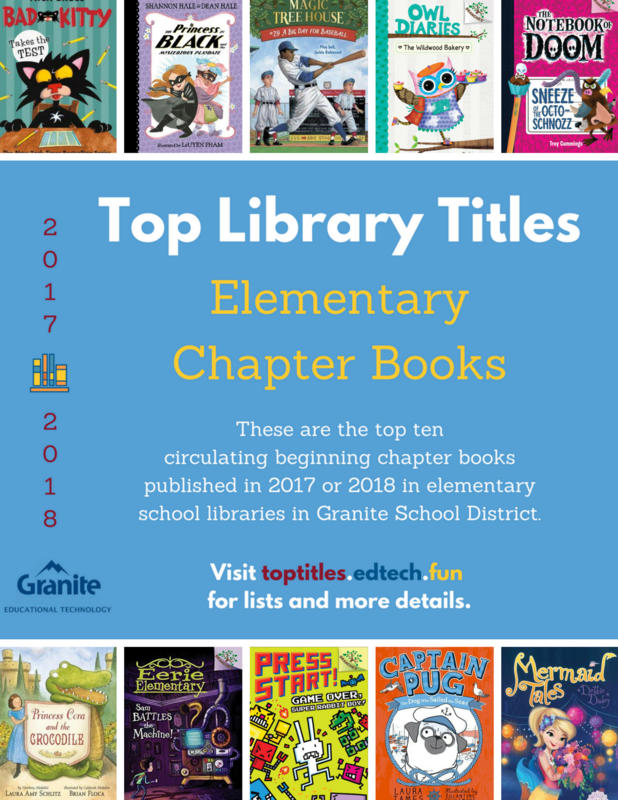 We’ve separated out books published in 2017-2018 from the rest to provide a means to see the new titles that are most popular in the district.